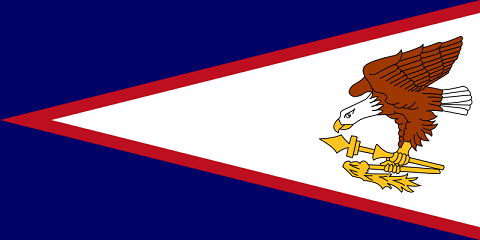 The national flag of American Samoa was adopted on April 24th 1960. The colors of the flag are both Samoan and American, and the flag shows an eagle to symbolize the protection and friendship with the United States. In its claws, the eagle carries the traditional war-club ("Uatogi") symbolizing the power of Samoan chiefs, and the ritual stick ("fue") symbolizing the wisdom of councils.